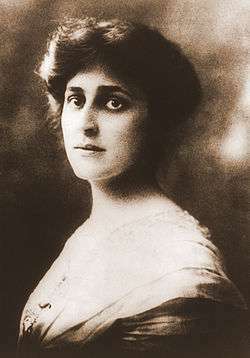 Crystal Eastman was born in Marlborough, Massachusetts, on June 25, 1881, the third of four children. In 1883 their parents, Samuel Elijah Eastman and Annis Bertha Ford, moved the family to Canandaigua, New York, where her brother Max was born. The following year their older brother died at age seven. In 1889, their mother became one of the first women ordained as a Protestant minister in America when she became a minister of the Congregational Church. Her father was also a Congregational minister, and the two served as pastors at the church of Thomas K. Beecher near Elmira. This part of New York was in the so-called "Burnt Over District." During the Second Great Awakening earlier in the 19th century, its frontier had been a center of evangelizing and much religious excitement, which resulted in the founding of the Shakers and Mormonism. During the antebellum period, some were inspired by religious ideals to support such progressive social causes as abolitionism and the Underground Railroad. Crystal and her brother Max Eastman were influenced by this progressive tradition. Their parents were friendly with the writer Mark Twain. From this association young Crystal also became acquainted with him. She was the sister of the socialist activist Max Eastman, with whom she was quite close throughout her life. The two lived together for several years on 11th Street in Greenwich Village among other radical activists. The group, including Ida Rauh, Inez Milholland, Floyd Dell, and Doris Stevens, also spent summers and weekends in Croton-on-Hudson. Eastman graduated from Vassar College in 1903 and received an M.A. in sociology (a relatively new field) from Columbia University in 1904. Gaining her law degree from New York University Law School, she graduated second in the class of 1907. During a brief marriage to Wallace J. Benedict which ended in divorce, Eastman moved to Milwaukee and managed the unsuccessful 1912 Wisconsin suffrage campaign. When she returned east in 1913, she joined Alice Paul, Lucy Burns, and others in founding the militant Congressional Union, which became the National Woman's Party. After the passage of the 19th Amendment gave women the vote in 1920, Eastman and three others wrote the Equal Rights Amendment, first introduced in 1923. One of the few socialists to endorse the ERA, she warned that protective legislation for women would mean only discrimination against women. Eastman claimed that one could assess the importance of the ERA by the intensity of the opposition to it, but she felt that it was still a struggle worth fighting. She also delivered the speech, "Now We Can Begin" following the ratification of the Nineteenth Amendment, outlining the work that needed to be done in the political and economic spheres to achieve gender equality. 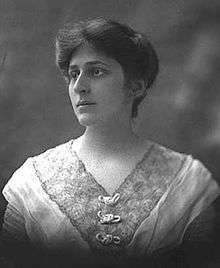 During World War I, Eastman was one of the founders of the Woman's Peace Party, soon joined by Jane Addams, Lillian D. Wald, and others. She served as president of the New York branch. Renamed the Women's International League for Peace and Freedom in 1921, it remains the oldest extant women's peace organization. Eastman also became executive director of the American Union Against Militarism, which lobbied against America's entrance into the European war and more successfully against war with Mexico in 1916, sought to remove profiteering from arms manufacturing, and campaigned against conscription and imperial adventures. In 1916 Eastman married the British editor and antiwar activist Walter Fuller (British editor), who had come to the United States to direct his sisters’ singing of folksongs. They had two children, Jeffrey and Annis. They worked together as activists until the end of the war; then he worked as the managing editor of The Freeman until 1922, when he returned to England. He died in 1927, nine months before Crystal, ending his career editing Radio Times for the BBC. After Max Eastman's periodical The Masses was forced to close by government censorship in 1917, he and Crystal co-founded a radical journal of politics, art, and literature, The Liberator early in 1918. She and Max co-edited it until they put it in the hands of faithful friends in 1922. She traveled by ship to London to be with her husband at times. In New York, her activities led to her being blacklisted during the Red Scare of 1919-1920. She struggled to find paying work. During the 1920s her only paid work was as a columnist for feminist journals, notably Equal Rights and Time and Tide. Eastman claimed that "life was a big battle for the complete feminist," but she was convinced that the complete feminist would someday achieve total victory. 1 2 3 4 "Crystal Eastman". Encyclopædia Britannica. Retrieved 18 October 2011. ↑ Ida Harper Husted, “A Woman Minister Who Presides Over a Large Eastern Church.” The San Francisco Chronicle, 27 January 1901. 1 2 3 "Crystal Eastman". National Women's History Museum. Retrieved 18 October 2011. ↑ Max Eastman, Love and Revolution: My Journey Through an Epoch, (New York: Random House, 1964): 79–81. 1 2 3 4 "Crystal Eastman". Vassar College: Innovators. Retrieved 18 October 2011. ↑ "Labor Center: Crystal Eastman". Indiana University of Pennsylvania. Retrieved 18 October 2011. ↑ "Women and Peace: The Legacy". Ms. Magazine. Retrieved 18 October 2011. ↑ Dawn Keetley (1 January 2005). Public Women, Public Words: A Documentary History of American Feminism. 1900 to 1960. Vol. II. Rowman & Littlefield. pp. 238–. ISBN 978-0-7425-2225-1. ↑ "Eastman, Crystal, 1881-1928. Papers, 1889-1931: A Finding Aid". Harvard University Library. Retrieved 9 September 2011.